Endodontic surgery has an established record of success. Modern materials and equipment (microsurgery) make it even more successful. 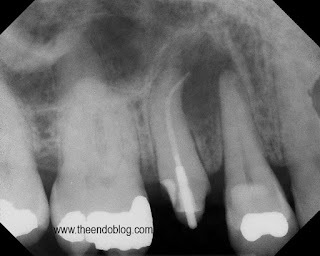 In a recent updated meta-analysis of the literature regarding endodontic surgery (Tsesis et. al. 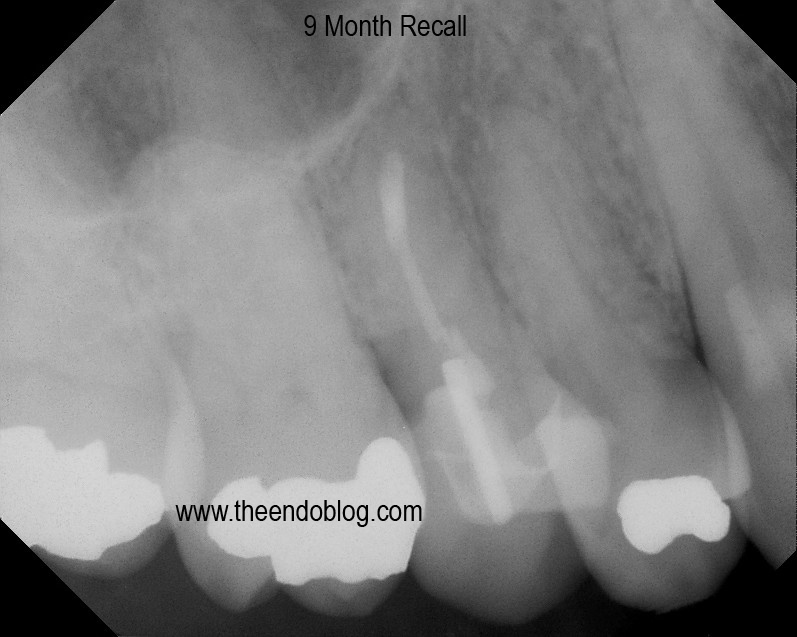 ), a successful outcome of endodontic surgery was seen in 89% of patients at 1 year. It also pointed out that modern materials and equipment (MTA and microscopes) are associated with better outcomes. 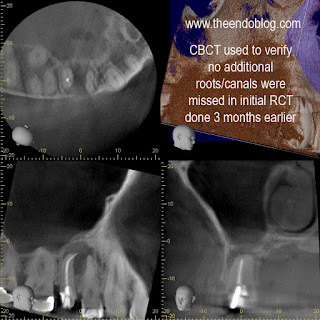 The following case shows the benefit of endodontic surgery, use of CBCT in surgical planning, and the surgical correction of endodontic overfill. This root canal was done by her general dentist 3 months earlier. As you can see it is overfilled, post placed, crown prepped and ready for new crown, but patient continues to have symptoms with the tooth. 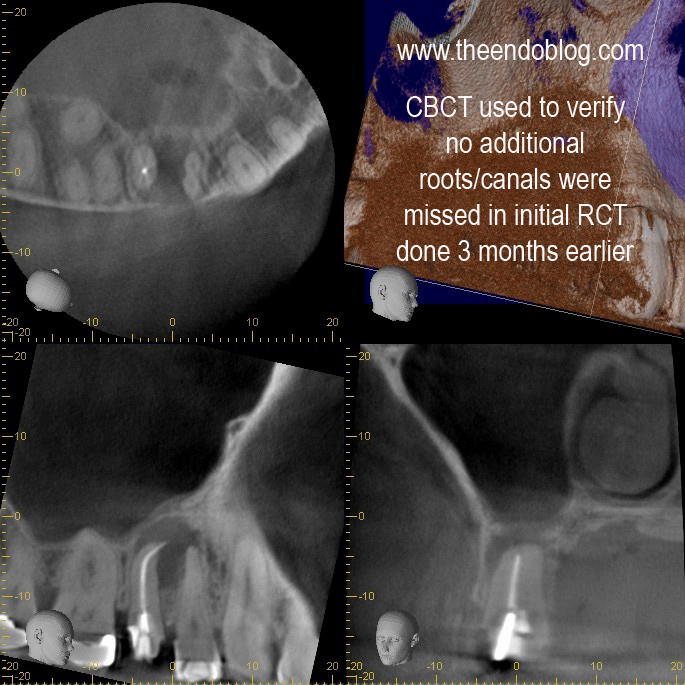 CBCT taken to evaluate the root morphology. 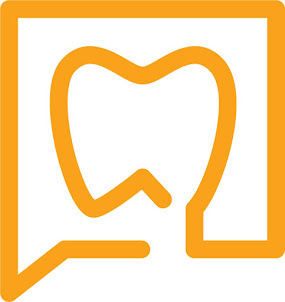 It is clear that this is a single root/canal. (The canal has an oblong shape) It was chosen to treat this tooth with apical surgery to preserve the restorative work that has been completed and assure that the overextened gutta percha is removed. 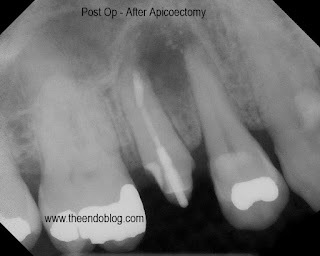 Apicoectomy completed with MTA retrofill. 9 month recall show complete healing of the periapical lesion, tooth is fully functional and asymptomatic. This procedure saves the patient significant time and money over extraction and implant placement.